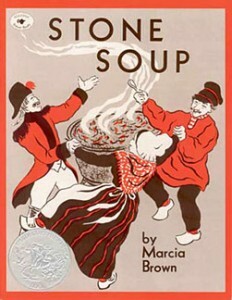 Everybody knows some version of the Stone Soup legend: hungry soldiers, stingy townspeople, creative plan, and a feast for all. Ever considered the connection with Jesus' Feeding of the 5000? hungry followers, generous boy, miraculous plan, and a feast for all. You AMAZE me! <3 you lots and miss you just as much!